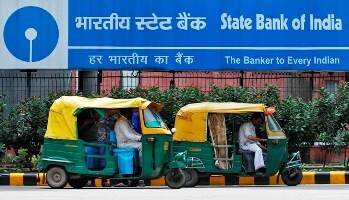 Rediff.com » Business » PSU banks to work 5 days a week soon? PSU banks to work 5 days a week soon? The Indian Banks' Association is reconsidering a long-standing demand from employee unions to keep bank branches open for only five days a week. IBA has commissioned a study to evaluate the pros and cons of keeping banks shut on Saturdays. The staff unions, under the umbrella of the United Forum of Bank Unions, refuse to budge on this demand, people familiar with the development told Business Standard. Private banks are also IBA members but might choose not to follow such a decision; this would not be so for their state-run counterparts if the government approves. In fact, the Union government had earlier rejected such a proposal on the argument that the public’s perception of state-run banks would be further hit. “Also, at a time when the government and RBI are pushing financial inclusion, reduced working hours for bank branches could be viewed as one step back,” said a top executive of a public sector bank. The staff unions say the extra working hours affecting the health and productivity of staffers. “A five-day week is already available in the international banking system. “It is also available here -- the Reserve Bank of India, central and state governments, and companies in the public sector work for (only) five days a week. “We have been saying it should be introduced in the banking industry. had rejected the proposal but we have been pursuing it through UFBU," said C H Venkatachalam, general secretary of the All India Bank Employees Association. Unions say such a move is unlikely to affect customer service as alternative channels of delivery -- such as ATMs, net banking and phone banking -- will allow individuals to conduct banking transactions on weekends. In addition, it is likely to reduce cash transactions and encourage customers to use more of electronic channels for their banking needs. “Having five days a week will lead to higher productivity and improve the efficiency of bank employees. It will also help banks in reducing cost," said Rajen Nagar, president of AIBEA and general secretary of the Bengal Provincial Bank Employees Association. RBI’s employee union supports the demand. “The work pressure in the banking industry is the highest in the country. “Hence, branch banking should be done only during weekdays, keeping in mind the health of employees and their ability to perform. “Technology has ensured customers can now have access to their bank accounts 24x7, without going to branches,” said Samir Ghosh, general secretary of the All India Reserve Bank Employees Association. Branch banking at top private banks is available for six days, though some allow employees to take one compensatory leave a month for working on Saturdays. Hence, many fear state-run lenders will lose market share if private banks continue to offer branch banking for six days. However, union members are hopeful that the five-day week for branch banking, if decided, will be introduced for all banks uniformly. Market boom: Are stock prices inflated?